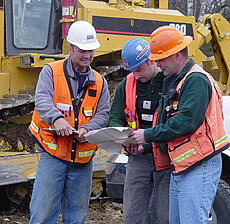 IN 4 Training offers RPL and refresher training for the mining supervisor course also known as S123. Ability to apply to the mine site senior executive to be appointed as a supervisor at that mine. RPL or Refresher pre requisite. There is no pre requisites for the full course. Candidates will be assessed through written questioning and providing evidence for example. Class room: 1 x 9 hour day face-to-face training. Supervised workplace testing and activities: 18 hours in a fortnight period. Candidates will be assessed through questioning, projects, case scenarios, reports, skills assessment, observation in the workplace. This course is required by the coal mining regulations s84 to be refreshed at least once every 5 years. We look forward to seeing you again for your next refresher.